Every day we read through dozens of fantasy sports articles. We pull out the key points about each player mentioned, link to the article, credit the expert who came up with the advice, and add all that information to our database. 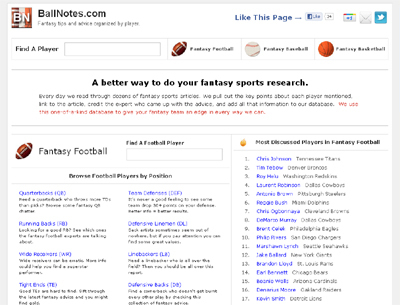 People can view a wide range of opinion on any football, baseball, or basketball player all in one place.